Add melted chocolate and vanilla. Then add eggs one at a time. Bake at 180degC for 45 minutes or until set. Can be a little wobbly, but when placed in fridge it will set. 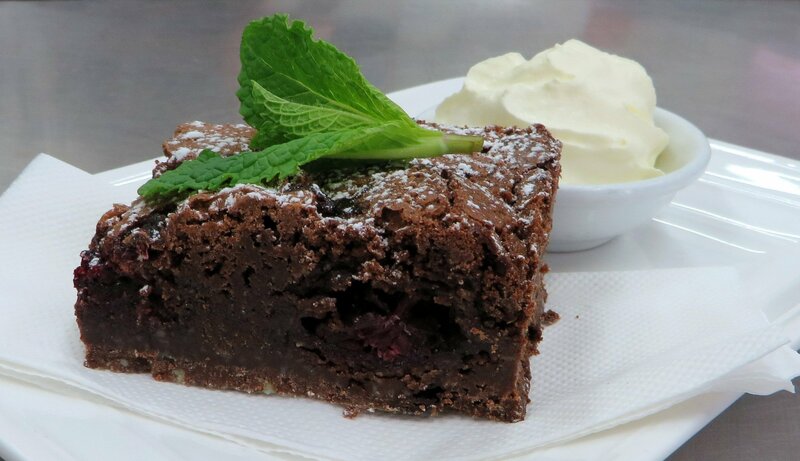 - Recipe provided by Shortblack Cafe, Oamaru. Recipe requested by Jean Black, of Kurow.